The year is 1943, with communists oppressing Russia and persecuting Christians. The main character, a girl named Seraphima, dreams about a Palm Sunday celebration in a church where her father serves as a priest. The dream ends with the Soviet police taking her father away, and the church being blown up. Seraphima lives in a Soviet orphanage and secretly keeps a single reminder of her family — a cross. She finds it difficult to form friendships with the other girls, and the main teacher at the orphanage mocks and persecutes her. Her friend tells her the house is full of secrets, including some resident ghosts. Seraphima visits a mysterious secret chamber under the stairs, to see one of them. From this moment, Seraphima falls into a whirlpool of incredible events, allowing her to shed light on the mystery of the orphanage, and the fate of her parents. When the teacher discovers that Seraphima is a Christian, and that she secretly wears a cross, she has Seraphima banished from the orphanage. The girl refuses to renounce her faith, and she waits in suspense to find out who will arrive to take her away . . .
Georgian SSR Tbilisi Healthcare City Psycho-Neurological Hospital 19/1 – 1966, Tbilisi, 1, Electroni Str. #666Patient: Vasili Urgebadze, born in 1929, 6 class education. Address: 11, Tetritskaro Str. The patient is stationed in the city psycho-neurological hospital on 18.VIII.1965, and is brought from the prison for forced treatment. Diagnosis: psychopathic person, inclined to schizophrenia-like psychosis blanks. He was discharged from the hospital on 19/11/65. According to anamnesis he had a vision of a ghostly evil spirit with horns on the head at the age of 12… The patient proves that everything bad that is taking place in the world is due to Evil. From the age of 12 he started to go to churches, prayed, bought icons, and studied church literature… He ate nothing on Wednesdays and Fridays. Grown-ups and soldiers laughed at his nonsense: “On Wednesday Judas sold Christ for thirty silver coins, and on Friday the Jewish priests crucified him”; he was totally hallucinating. It was clear from the case that at the 1 May 1965 demonstration, he burnt a big portrait of Lenin, hanging on the building of the Council of Ministers. After interrogatory he said he did this because the picture of the Crucifixion of Christ should hang there and that it was not possible to idolize an earthly man – the doubt appeared in regard to his psychic health, due to which he was sent to court-psychopathic expertise. The examination showed the patient’s orientation is disoriented in place, in time, and in environment. He talks to himself in a low voice: he believes in the existence of heavenly beings, God and angels, etc. While talking, the main axis of a psychopath is always turned to that everything depends on God’s Will, etc. He is isolated from the other mental patients in the department. When someone talks to him, he surely mentions God, angels, and icons, etc. He is unable to criticize his condition. He was treated with the aminazinophrazia and syptomicine therapy, after which he passed commission. Members: J. Shalamberidze and physician Kropov. He was discharged from the hospital on 19 Jan. 1965 and was taken home by his mother. Physician: Lezhava 19 Jan. 1966. … From that time on, Father Gabriel decided to completely change his lifestyle, which was too painful for him. Now he was determined to pretend as being mentally ill and to outwardly refuse his usual way of life. Instead of being in silence, he loudly preached in the streets. If till now he completely refused to drink wine, now he drank among people and pretended to be drunk. To pretend being foolish is an unusual feat which requires a spiritual strength and divine mind. “Because the foolishness of God is wiser than men; and the weakness of God is stronger than men” (I Cor. 1:25). Jesus told his disciples, “Whoever wants to be my disciple must deny themselves and take up their cross daily and follow me.” (Luke 9:23) What does it mean to take up our cross daily? This is a question that St. Theophan the Recluse addressed in a series of homilies in 1885. When the personal cross of each of us is united with Christ’s Cross, the power and effect of the latter is transferred to us and becomes, as it were, a conduit through which “every good gift and every perfect gift” (James 1:17) is poured forth upon us from the Cross of Christ. The message is clear that there is more to our salvation than just believing in Christ, His Incarnation, His Crucifixion and Resurrection. In addition to His Cross, our personal cross is equally essential for our salvation. But, what is our personal cross? 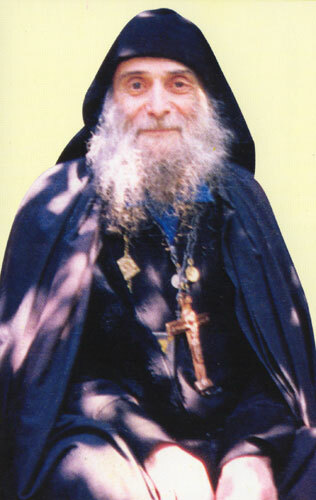 Saint Theophan outlines three kinds. One is outward, another is inward and a third is spiritual. These are sorrows, misfortunes, the loss of loved ones, failures at work, every sort of deprivation and loss, family troubles, adversities related to outward circumstances, insults, offenses, wrongful accusations, and, in general, our earthly lot… Neither eminence, nor riches, nor glory, not any kind of earthly greatness will deliver one from them. The Lord wants to wash away some sin, or to lead us away from a sinful deed, or to cover up a greater sorrow with a smaller one, or to give us an occasion for patience and for demonstrating faithfulness to the Lord, so as to show forth the glory of His mercy on us later… If you don’t clearly see precisely what God wanted to give you through sorrow that has overwhelmed you, raise up in your heart the general, non-speculative belief that everything that comes from the Lord is for our good, and give a shove to your disturbed soul: this is what is pleasing to God. Endure! He whom punishes is like a son to Him! There is a cross upon which these passions and lusts are crucified. To crucify the passions means to weaken them, suppress them, and uproot them… When someone is fighting against the passions, sometimes it seems as if his hands were nailed, as if he is wearing a crown of thorns on his head, as if his living heart is pierced. 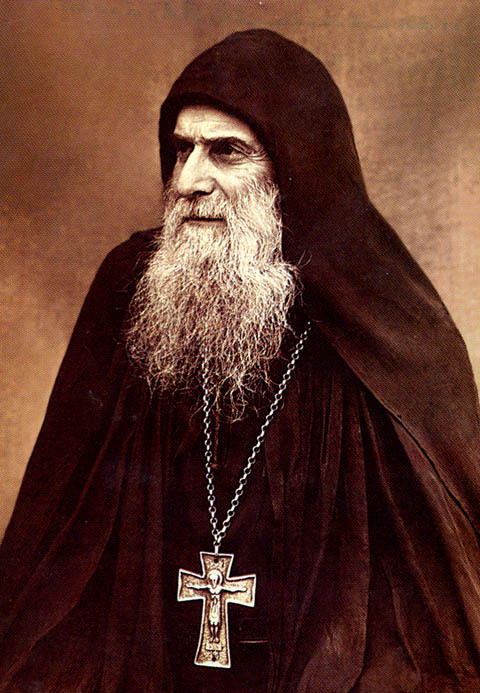 One has only to turn the knife around and, instead of satisfying the passions, to strike oneself with it, to strike the passions with it, beginning the fight against them and contradicting them in everything… One must say to every passionate person: “You’re perishing on the cross of passions. Destroy that cross and set up another: the cross of the fight against it. And you’ll be crucified on it unto salvation!”…. go courageously to the cross of self-crucifixion, through the crucifixion and uprooting of the passions and lusts. Let us turn away from self-pity and become inflamed with zeal for self-accusation… the Cross is the tree of life. Many have the idea that Christianity is the same as other kinds of life, but this is not so. It begins with repentance, ripens through the fight against passions, and is perfected when the pure, inner man, immersed in God, is crucified with Christ… If Christians do have pleasures they are purely incidental. The most distinguishing characteristics of their existence are sufferings and sickness––inward and outward, voluntary and involuntary. We must through much tribulation enter into the kingdom, and into that which is within it.….If you want good for yourself, get rid of pleasures and enter on the path of the cross of repentance, burn up in the fire of self-crucifixion, be tempered in tears of heartfelt contrition––and you’ll become gold, or sliver, or a precious stone, and in due time you’ll be taken by the Heavenly Householder as an adornment for His most bright and most peaceful mansions. Reference: Three Homilies of the Bearing of the Cross by Saint Theophan the Recluse in The Orthodox Word, No. 285, 2012, pp 187-202. Blessed Christmas all! May the light of Christ bring you peace and joy! “This night, I kept vigil. I sang my carol to come. I wanted it to be very beautiful. I sang it in my head. I heard it in the high heavens, from where it descended. Rather difficult for me, since I don’t know musical notes and I have to sing by ear. So I was awake, lucid and serene, when all of a sudden, I noticed a photograph of Seta – the girl he loved – in my hand. Amazed by this, I lifted my gaze and at the head of my bed I saw the Mother of God, clothed all in white, vivid, real. You know what sort of work these drivers have, and how they almost never know when they are going home. Do you understand? At 10:00 in the morning, his wife had the meal ready and waited for him, whatever time he arrived so that they could eat together. And in the evening, she waited for him from 6:00, often till 2:00 in the morning. Doesn’t this impress you? This is what martyrdom in life means: a life of love.